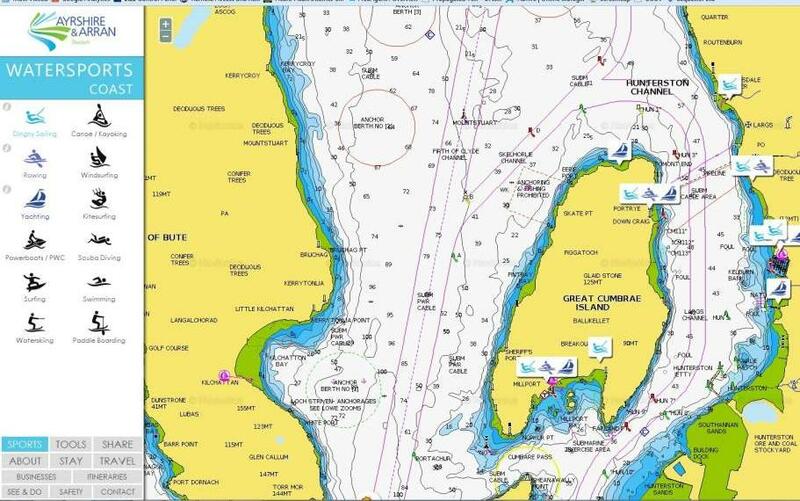 Arran & Ayrshire wanted to have an interactive mapping solution to give visitors information on watersports available throughout their region. SAMTEQ have had a lot on interactive mapping experience but this site was more challenging as ideally we needed to have an interactive nautical chart. Working with Navionics we were able produce an interactive nautical chart and incorporate tools such as passage planning.